Marcia Moreland’s passions are her cattle and her award-winning hay. 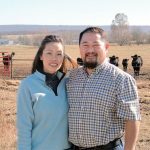 She and her husband, Kelly Hedrick, raise beef cattle and several kinds of hay on their farm in Crane, Mo. Marcia cuts, rakes, bales, wraps and hauls her own hay along with Kelly. 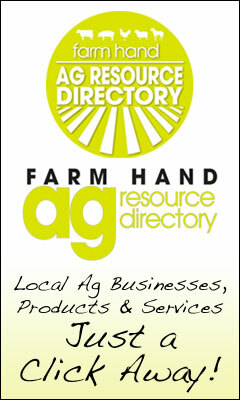 They both work off the farm as well and have no employees so they share all the responsibilities of the farm. They feel they operate differently than a lot of people as they believe in producing hay and beef cattle using numbers. This means EPDs in cattle and nutritional levels in the hay. 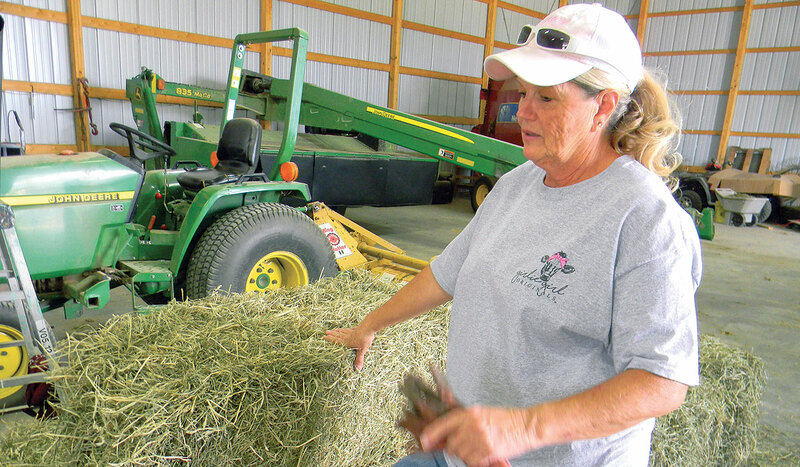 It all started when Marcia entered her first hay contest in 2012 at the Ozark Empire Fair. She went to grazing and hay schools, workshops, every meeting the University of Missouri Extension offered and learned from other producers. What she discovered is the most important aspect to making good hay is learning when to harvest it. The younger the plant is, the better the digestibility and nutrition that plant has. The earlier the hay is harvested, the better numbers, especially with fescue and Orchardgrass. Marcia says growers don’t want to look at just protein; they should look at everything from protein to digestibility and energy to ADF (acid detergent fiber) and NDF (neutral detergent fiber). They harvest fescue in the last week of April to the first week of May, which is earlier than most. They have found even unfertilized, earlier cut hay can outperform fertilized hay off of the same field just one month later. “Most people around here look for quantity. They are looking for a certain number of bales,” Marcia said. She went on to explain that you can feed one bale of April hay as opposed to three bales of June hay for the same amount of nutrition. 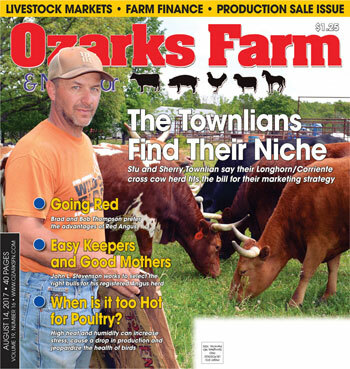 Marcia’s hard work has paid off – her Orchardgrass and fescue hay won first place in their respective classes at the Ozark Empire Fair this year. When it came to her cattle, Marcia educated herself on what kind of bulls to use. “I do things by the numbers. I want numbers – calving ease, milk, maternal, docility. When I buy a bull, I look at a bull’s numbers first and then I will go visually look at him,” she said. While they have some Angus and Black Herefords, their cattle are mostly Brangus influence. Their cattle subsist on just their pastures and home-grown hay for the most part, although they do supplement their weanling calves with a small amount of grain. Due to the current drought, they may wean a little earlier than usual this year. “We aren’t going to hang on to them very long.” Marcia said. Kelly added that there just isn’t enough grass right now to finish anything out. “Our hay production actually isn’t really hurting too bad this year from the drought. 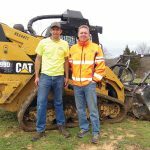 We are about four or five days behind this year from last year but we fertilized and our hay yield actually bumped up this year,” Marcia said. However, their summer and fall pastures are suffering from the dry weather. “One thing that has helped with our hay is that we don’t calve in January and February; we calve in April and May,” Marcia explained. Dry cow nutrition requirements are low so during the coldest weather, they don’t have to feed as much hay or their highest quality hay. She gives a lot of credit to the Extension for helping farmers in their endeavors. “That is free information; free knowledge. I love it,” she said. Marcia added that their herd health has improved and death loss is minimal due to timing their calving season for April and May. Another aspect they feel has improved their herd health is the influence of Brangus genetics. They expect their cattle to thrive on native fescue. She said a lot of people think of a rodeo when they hear Brangus, but their cattle are very docile, which is important to them. “If I can’t be around them, I don’t want them. I got to have cows I can handle,” Marcia said. Marcia and Kelly are running about 150 momma cows now, but they would like to buy more land and expand to accommodate 500 momma cows.